We are a local, reliable, professional and highly recommended carpet cleaner in Newbury, Berkshire and the surrounding areas. Using the very best and most powerful carpet cleaning equipment (truck mounts) we provide a service unrivalled by other carpet cleaners. We offer domestic carpet cleaning and commercial carpet cleaning services in and around the Berkshire area. 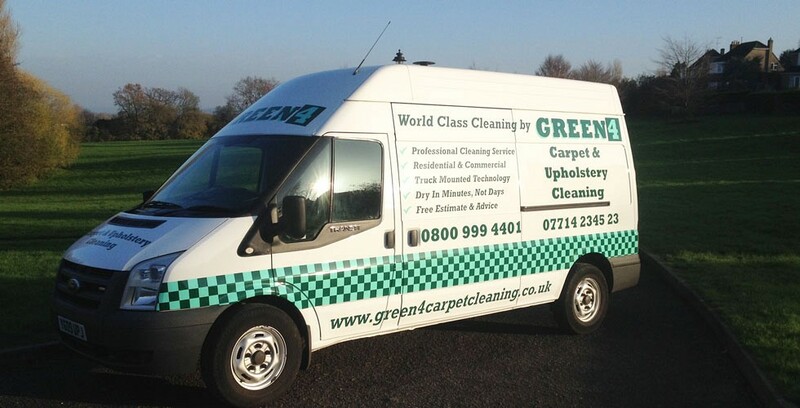 Green 4 Carpet & Upholstery Cleaning also offer carpet cleaning to many types of business’s including; hospitals, doctors surgeries, dentists surgeries, schools, shops, pubs, clubs, restaurants, golf clubs, local councils, public transport services and hotels. And the truck mounted carpet cleaning systems we use are the best in the world for high volume, high traffic areas, and when used in a home environment they are phenomenal. Many customers are shocked by the results and say things like “my carpets look like new” and some have even commented that they look better than when they were first fitted. You can check out our carpet cleaning and upholstery cleaning reviews at www.checkatrade.com/green4carpetcleaning or by clicking on the Checkatrade link on this website. 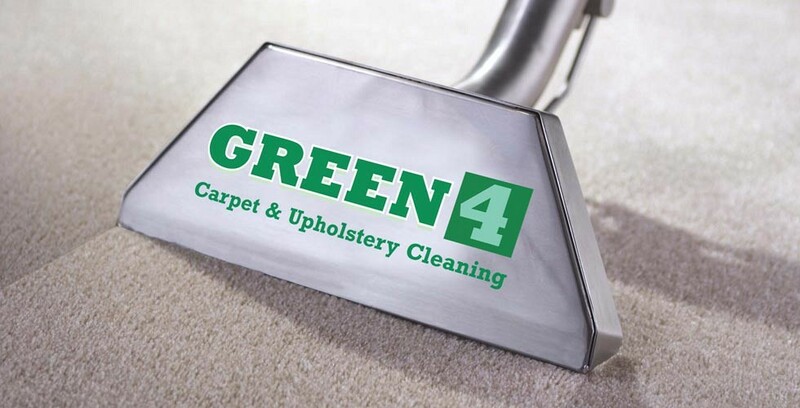 We have lots of regular carpet cleaning & upholstery cleaning customers and every customer that’s ever used Green 4 Carpet & Upholstery Cleaning would gladly recommend us. In 98% of cases the most appropriate method to clean your carpets will be with one of our truck mounted hot water extraction machines. Truck mount carpet cleaning systems are the most effective way of cleaning dirty carpets, meaning we will provide a restoration clean, not just a surface clean. To put this in perspective portable machines that our competitors use produce 1-2 horse power from “your electric”, our carpet cleaning machines are 26 horse power, this means a far better quality clean, but at no extra cost to you. Our carpet cleaning systems don’t need to use your water or electric. There are several cleaning steps we take to clean carpets to the highest standard possible, the first thing we do before carpet cleaning commences is hoover thoroughly with a powerful vacuum cleaner, that’s because its far easier to remove dry dirt than it is to remove wet dirt. We then pre-spray the carpet with mild detergent which is similar to soap powder you use to clean your clothes. We then gently brush the pre-spray into your carpet, next we tackle any stains that may be on your carpet, although some stains need treating before applying a pre-spray. Then the last step is to thoroughly rinse your carpet with water that is hot enough to kill all bacteria, mixed with a mild solution that stops carpets re-soiling prematurely. The far superior suction of our truck mount carpet cleaning systems leave you with beautifully clean carpets that are dry enough to walk on immediately. Our friendly carpet cleaning team have a real passion for carpet cleaning, over the years we have methodically studied the science behind carpet & upholstery cleaning and stain removal, so these days there is not much we can’t get out of a carpet, and one thing’s for sure, if we can’t get a stain out, no-one can. Even if you were thinking that your carpet needs replacing, it’s worth calling us first, we think you will be pleasantly shocked at just how good we really are. Our carpet cleaners provide a service that is second to none. 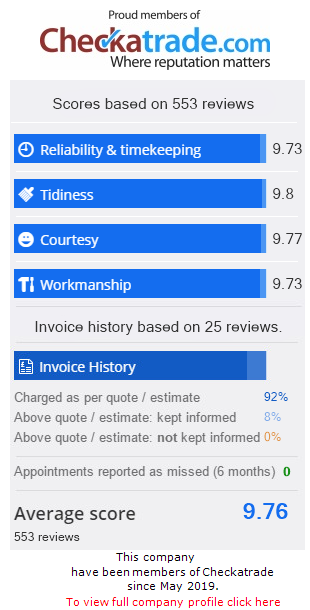 It takes quite a special company to be recommended by checkatrade.com and we are a local carpet cleaning company in Newbury living up to our reputation consistently. 10/10 on checkatrade.com.